Training through the winter months is critical to having a successful spring running season. Whether you are getting ready for a spring marathon, or are just trying to shed a few pounds of turkey and egg nog, it is important to keep up your running habit even when there is snow on the ground. This is equally as true for trail runners as it is for road runners. While road runners can count on sidewalks being shoveled and running paths being plowed, trail runners have to face some deeper truths about winter. Snow and ice can linger on trails, especially in deep woods and on mountain trails. Plus, it’s just plain cold. With these factors, shoe choice can make or break your winter runs. The best winter trail running shoes feature increased traction and grip to excel on fresh snow, frozen ground, and ice. That sets them apart from standard trail shoes. The models that have made our list feature durability and waterproof design for high performance in extreme weather conditions. Climate-smart design features such as Gore-Tex, and specially-woven waterproof uppers and midsoles. 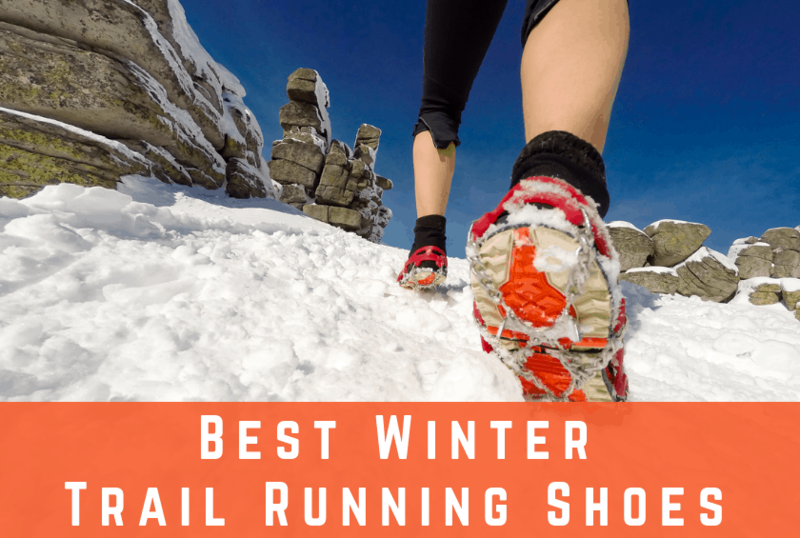 Ranging from classic styles including several models by Salomon to New Balance, we’ve done the work and compiled a list of the best winter trail running shoes for 2019 so you don’t have to. Each shoe on our list maintains maximum comfort and fit while excelling in rugged winter weather conditions. Read on to discover the best winter trail running shoes available now! 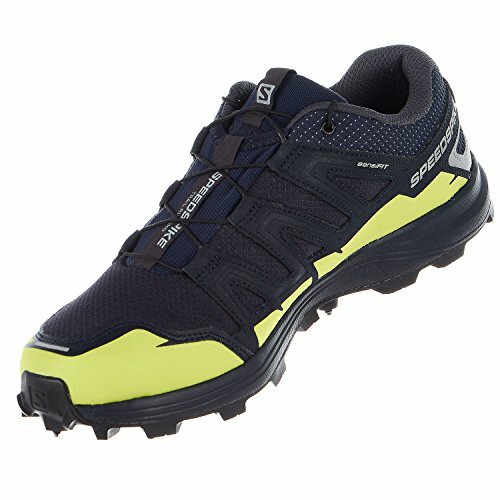 First on our list is the top-rated Salomon Speedcross 4 CS. 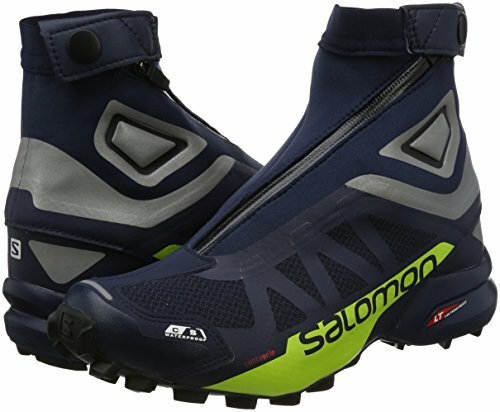 We love Salomon’s 4th Edition to the Speedcross line for its extreme water resistance, comfort, and traction. The Speedcross 4 CS features the rugged, waterproof grip the style is known for, with upgrades in appearance and technical specs. Aside from its next-level traction, this shoe offers improved breathability over previous versions, and lots of color options. Designed for the toughest terrains, you’ll be protected from harsh winter weather conditions by the new model’s improved outsole. The Speedcross 4 CS’s newly constructed outsole features increased traction and added protection in icy conditions. Featuring the brand’s signature Contagrip technology, the Salomon Speedcross 4 CS is perfectly suited to ice or fresh snow. We love the Quicklace technology, which allows for adjustment with just a click of the laces. The lace-specific pocket ensures that you won’t be caught with your shoe untied during a run or marathon. Offering the same unmatched traction as the Salomon Speedcross 4 CS, the Salomon Snowcross 2 impressed us with its high-top design and waterproof CS Membrane system. This shoe is weatherproof in the most extreme conditions. A newly updated outsole constructed from premium rubber offers added protection against mud, snow, and loose terrain. Not to be understated is the overall increased comfort and cushioning of this latest edition. Featuring an EVA triple-density midsole, the Snowcross 2 is constructed for comfort but also offers superior flex and responsiveness. Following in the tradition of the Speedcross, we love the Speedspike CS for its versatility and performance on the iciest of terrains. Suited equally to snow or dry pavement, the Speedspike CS offers a consistently comfortable and waterproof experience. On first sight, you’ll notice plush padding throughout the upper and midsole of the Speedspike CS. True to the comfort of the Snowcross, the Speedpike offers extreme durability in rugged conditions in tandem with a highly cushioned design to ensure maximum comfort. 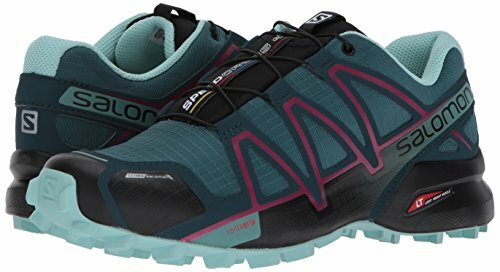 As with all Salomon trail running shoes, the Speedspike’s superior grip places it among our best winter trail running shoes, for good reason. On rocky and uneven terrain, the Speedspike is well-balanced due to its newly updated outsole. Salomon’s classic Contagrip pattern offers increased traction with strategically placed lugs and spikes. The EVA-constructed midsole ensures firm and responsive cushioning along with a snug fit. Next in our lineup is the Saucony Peregrine 8 ICE. Like previous incarnations of the Peregrine, the Peregrine 8 ICE does not disappoint in its ability to tackle the most extreme winter weather conditions. Ready to face the most unyielding terrain, the ICE excels in snow and handles ice as a welcome challenge. Keeping in line with the Peregrine’s previous generations, the latest model is consistent in its impressive traction and long-distance running performance. The Peregrine 8 ICE features a newly constructed upper layer, giving this model a new range of flexibility not seen in previous versions. Overall, we like the Peregrine 8 for its sleeker and more minimalist design. Brooks makes the list of our best winter trail running shoes with the Cascadia 13 GTX. Like previous versions, the latest model is built tough, and perfectly suited for muddy conditions. This version includes trail-specific features that make it a great contender for runners facing varied terrains. We’re impressed by the addition of a 3D-printed rubber mudguard on the Cascadia 13’s outsole. Previous models of the shoe were praised for trail-tackling ability, but received lower scores in overall comfort and cushioning. Brook’s latest model offers superior comfort over the earlier releases, and rivals the cushioning of top-rated brands for comfort. A favorite feature of the Cascadia 13 is the line’s consistent, well-crafted midsole. Fans of Brooks have come to expect a firm and steady ride on any terrain, and the midsole here works in tandem with the Cascadia 13’s chunky heel to offer the same responsive experience on the rockiest of trails. Keeping in line with the versatile, all-terrain designs the brand is known for is the Altra Lone Peak 4.0 RSM. Altra’s latest model features several upgrades while maintaining the rugged, weather-resistant features Altra fans love. We immediately noticed the Lone Peak 4.0’s new and improved upper, which fits more snugly than previous versions. The improved midsole provides a better lockdown and snug fit throughout the midfoot, and a more responsive experience overall. 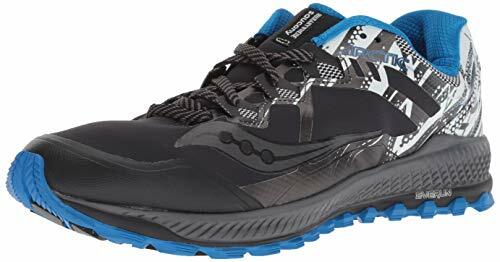 Sleeker in design than its earlier counterparts, the new RSM (rain, snow, and mud) version builds on its reputation as an award-winner by adding the designation as an all-weather trail shoe. 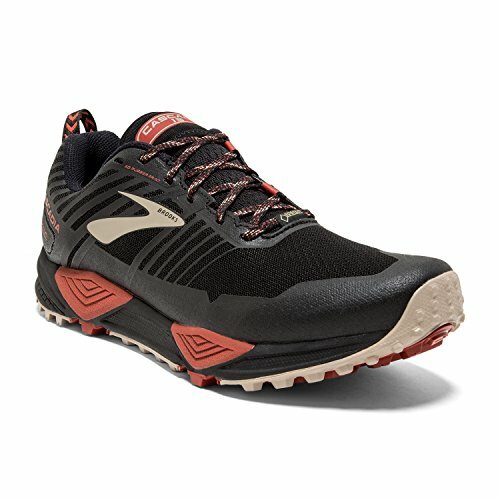 A key feature of the Altra Lone Peak 4.0 RSM lies in its unique waterproof design, which is constructed primarily on the exterior to shield water from ever entering the midsole, while maintaining a relatively lightweight and sleek appearance. Like all Atra trail running shoes, the Lone Peak 4.0 features Altra’s unique foot box design and zero-drop platform. The wide toe box allows for toes to spread naturally, reducing the risk of injury and irritation. 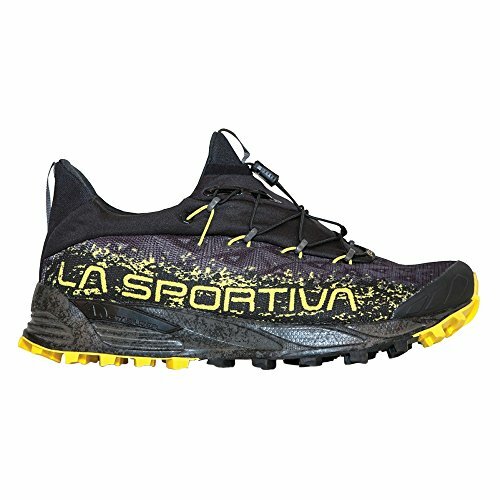 Praised for its all-season design, the Tempesta GTX is the latest addition to La Sportiva’s technical trail running shoe collection. With your feet shielded by enhanced Gore-Tex protection against extreme weather conditions, you’ll be undaunted by the most frigid and unyielding winter elements. A favorite feature of the latest version is the Tempesta GTX’s increased breathability. While offering protection and insulation from the elements by way of the newly designed impermeable construction, the GTX offers a more comfortable and breathable fit overall. We love the nimble and agile construction of the Tempesta GTX’s relatively lightweight design. The midsole’s sleek and minimal construction allows for a natural and comfortable fit. Ultimately, the Tempesta GTX offers improved flexibility and long-distance performance while maintaining the rugged trail-tackling design the brand is known for. 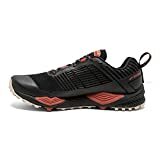 A favorite for obstacle course racing, the Zeal2 OLX by Icebug makes it on to our list of best winter trail running shoes as a top shoe for distance running. The Zeal2 OLX offers unmatched traction with a few notable upgrades. First, the Zeal2 OLX is perfectly suited for a wider foot. With a wider toe box than previous Icebug designs (including the Spirit5 and Aurora), the Zeal2 OLX may be immediately more comfortable for many wearers. While the fit can accommodate a wider foot, it is not too wide to maintain a snug fit and agile design overall. Where the Zeal2 OLX shines most is in its flexible yet stable design. This is thanks to the Zeal2’s improved midsole construction. You’ll find that the unique midsole construction reinforces the Zeal2’s snug and responsive fit. The Zeal2 OLX also features an upgrade in the outsole design, now featuring more prominent lugs, 16 of them with permanent carbide tips for increased traction on ice. The Invo-8 Arctic Claw 300 makes it on to our list of the best winter trail running shoes for its performance and durability in extreme elements. We love the Arctic Claw for its ability to excel in the most unrelenting weather conditions, including ice and frozen ground. Known for its long-distance performance, you’ll love the Arctic Claw for winter trail and marathon running alike. Unlike just any long distance trail running shoe, the Arctic Claw is designed specifically to endure long treks in frigid weather conditions. This shoe is extremely durable against harsh elements, and constructed for protection. We especially love how the Arctic Claw’s hard rubber outsole tackles the toughest terrain. To ensure comfort, the Inov-8 Arctic Claw is fitted with a softer rubber in non-high wear areas. This aids the shoe in providing excellent traction on a number of surfaces. The New Balance 910v4 Trail Gore-Tex rounds out our list of the best winter trail running shoes with its comfortable fit and versatile design. The fourth edition of the New Balance 910 offers the same tough construction rendering it capable to tackle almost any terrain, with a few upgrades in design and appearance. The latest edition features a more nimble design along with a more attractive and streamlined look. True to the brand, the New Balance 910v4 Gore-Tex is available in several width options to perfectly suit your feet, while still offering a snug and agile fit. 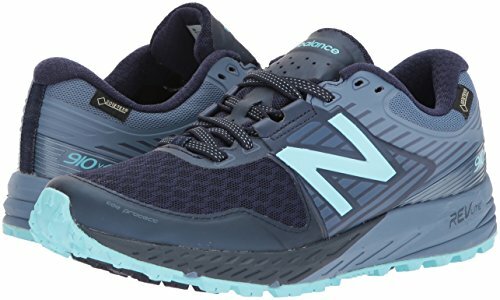 Overall, the New Balance 910v4 is a versatile winter trail running shoe that stands up to extreme weather conditions and offers several width options for maximum comfort and fit. If you want to keep running on the trail even when the weather turns cold, you’ll need to make sure that you have the proper gear to avoid injuries. Normal trail shoes will have enough traction to keep you safe in sloppy conditions in the summer, but you’ll need an extra-special shoe for the winter. Unlike summer shoes, breathability is not as great of a concern as a waterproof membrane. You want to keep your feet warm and dry, especially in the cold conditions where you may be running through ice and snow. Lugs are used on trail shoes to help grip the trail and avoid slipping. Obviously, this is particularly necessary in the winter. Thus, just a tread pattern that is used for gripping and traction that you might find on a summer trail shoe is not going to be enough. You’ll want big lugs on the bottom of the outersole of your winter trail shoes. Trail gaiters are important for any kind of trail condition from keeping out mud to dodging sticks and stones. However, they are particularly significant in the winter to keep out ice and snow and keep your feet warm in cold conditions. Thus, it’s important that you select a winter trail shoe that will be compatible with a trail gaiter. When you’re running in icy areas, it’s important to have extra traction. You can either purchase shoes with built-in spikes like carbide-spiked trail shoes or add hobnails or microspikes to your own shoes. Hal Koerner favors microspikes because they can be easily added and removed depending on the conditions. Should I wear micro or nanospikes in the snow? Yes, you probably should. Micro or nanospikes are like snow tires for your shoes and will give you an advantage—and may even be a necessity—on your snow-covered runs. They are more beneficial with ice, but there is a good chance that you’ll probably encounter ice on your winter runs. Can I make my own winter trail running shoes? Yes, you can! You can buy a kit with screw-in spikes or you can use short screws from a hardware store. This could be especially usual if you have an older pair of shoes and don’t want to spend a lot of money on new trail shoes built specifically for winter.